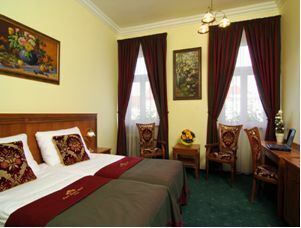 The four-star Green Garden Hotel offers 60 beautifully furnished bedrooms. All bedrooms are bright and spacious and designed by the highest standards to ensure a comfortable and relaxing stay. Each bathroom is uniquely designed with a different flower design. All areas on the ground floor and two rooms are wheelchair accessible. Baby cots are available. Rooms are non-smoking. Buffet breakfast, data ports, meeting rooms, dry cleaning, car rental desk, family rooms. 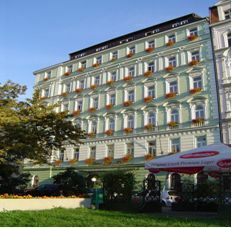 The hotel Green Garden is situated in the centre of Prague - just a ten minutes walk from Wenceslas square and just three minutes from the C line metro station at I.P. Pavlova Square. 15 minutes walk to the PCC or 5 minutes walk to the metro station I.P.Pavlova, from there take a metro (line C) and go 1 stop to the metro station Vyšehrad. Prague Congress Centre is located ext to the metro station. The journey should take up to 10 minutes.